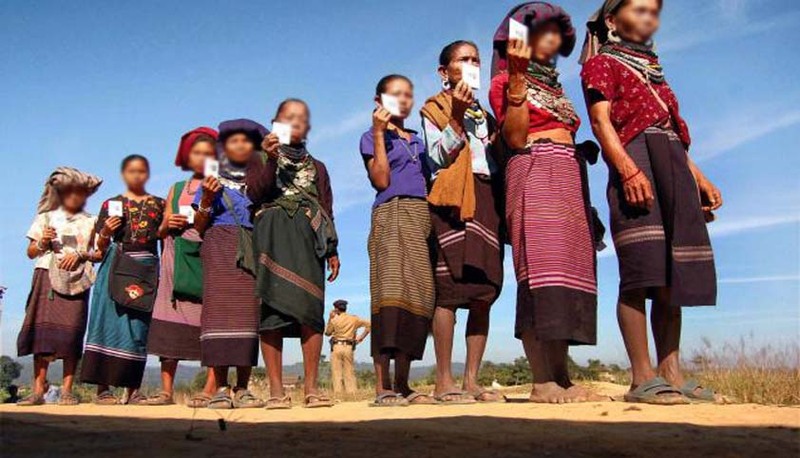 The Supreme Court today ordered the Centre to consult with states of Mizoram and Tripura and file a fresh affidavit before it, giving a time bound action plan regarding rehabilitation of Reang Tribes. Members of Reang tribes are native of Mizoram, but were forced to migrate to Tripura. The Social Justice Bench of the Court ordered that the affidavit be filed within four weeks and that the Centre must consult the Chief Secretaries of two states. The Bench of Justices M B Lokur and U ULalit also expressed displeasure over the slow progress made in last ten years. Reportedly, only a lakh rupees each has been spent on the refugees in the last 15 years. Regarding the same, PIL was filed by AkhilBharatiyaVanvasiKalyan Ashram in 2005 and another in 2007 by Asian Indigenous & Tribal People's. Additional Solicitor General NK Kaul appeared for the Centre and submitted to the Court that a few meetings had taken place on this issue. However, it failed to find favour with the Court and it posted the matter for February 27, 2015. Reportedly, the ASG said, "what has happened in the past is past and unfortunate and I will see what can be done from today".